A dedication ceremony for the Woods Quad Sculpture Garden will be held Aug. 15 from 11:30 a.m. to 1 p.m.
A dedication ceremony for the Woods Quad Sculpture Garden will be held Aug. 15 from 11:30 a.m. to 1 p.m. There will be a brief presentation on Woods Quad’s most recent changes and the sculptures featured within it. 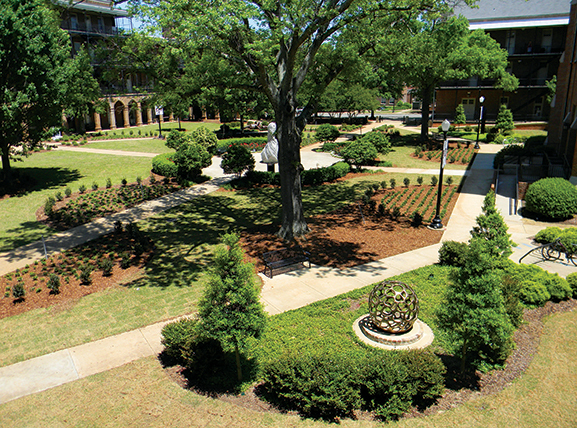 Duane Lamb, assistant vice president of facilities and grounds, said the garden is designed to feature 17 individual sculpture projects while extending the inviting and beautiful landscape for which the UA campus has become known. The design links each sculpture bed with connecting sidewalks. Every bed has up-lighting on each piece of art to enhance the works at night. Woods Quad also received additional irrigation, drainage, lamp poles, benches, bike racks, and plantings as part of the design. Woods Quad consists of the space between Woods, Manly, Garland and Clark Halls. Woods Hall was the first building to be rebuilt after the Civil War and was partially constructed from burnt bricks from the Civil War era. Woods Hall housed the entire University until Manly, Clark and Garland were constructed in 1885 and 1888. The buildings surrounding Woods Quad house the Department of Art and Art History, the Department of Gender and Race Studies, and the Department of Religious Studies.  For more information about the ceremony, contact the College of Arts and Sciences at 205-348-4356.